On the outside, the clothbound book looked innocuous enough. Titled The Candle and The Flame, The Work of George Sylvester Viereck, it appeared to be the work of a once famous, now disgraced German-American poet. But instead of printed lines of verse, the book contained only blank pages. Beginning in 1921, a New Yorker named Victor Alfred Lyon filled it with recipe after recipe for homemade alcohols and mixed drinks. Over the next decade, this little book of "poems" became the comprehensive formulary of a Prohibition-era bootlegger. Many decades later, the book found its way to writer Matthew Rowley, with little clues to its origin. 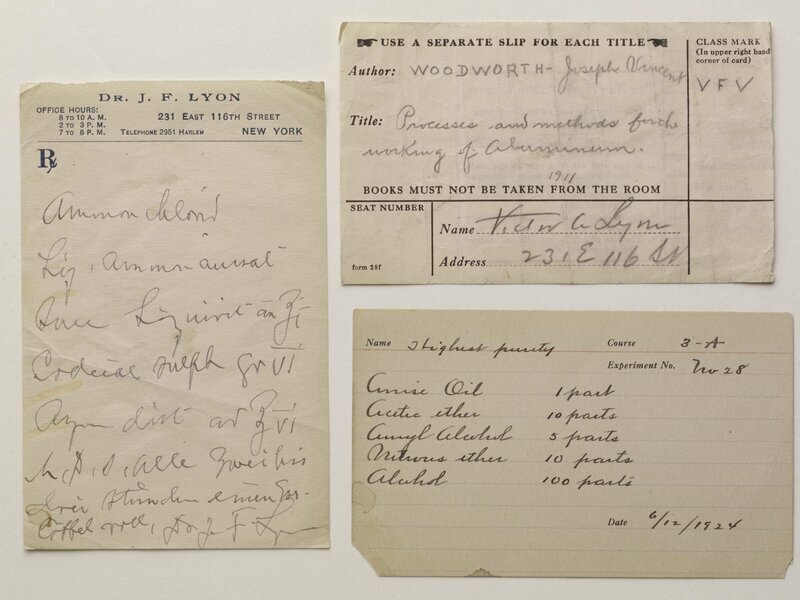 Rowley, a former museum curator, dug through historical records to learn who Lyon was and why he decided to painstakingly document recipes that, if discovered, could have sent him to jail in the 1920s. 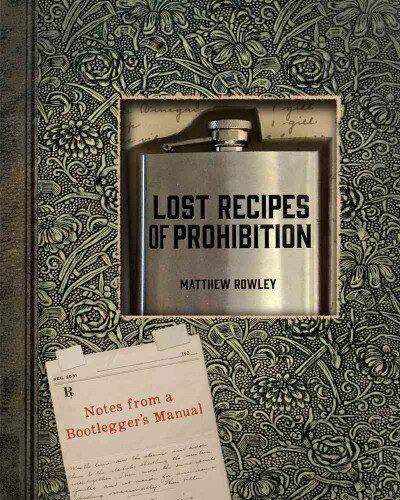 Rowley documents his hunt for answers in a new book, Lost Recipes of Prohibition: Notes from a Bootlegger&apos;s Manual. Lyon, it turns out, was a physician, and during Prohibition, alcohol was still legal as medicine — as whiskey labels of the era attest. "I assumed, going into this project, that medicinal alcohol was a complete farce ... one of the biggest scofflaw loopholes in Prohibition," Rowley tells The Salt via email. &apos;Turns out I was wrong," he says. Many alcoholic drinks also served as remedies. Absinthe and gin and tonics, with quinine added, were used as anti-malarial medicine. Ethanol — aka drinking alcohol — is also a recognized antidote for methanol poisoning. Methanol, an industrial alcohol sometimes known as wood alcohol, was occasionally imbibed during Prohibition — with potentially dangerous side effects like blindness. "I suspected that Lyon compounded some of these beverages, probably to sell as medicine from his office in the family home," Rowley says. 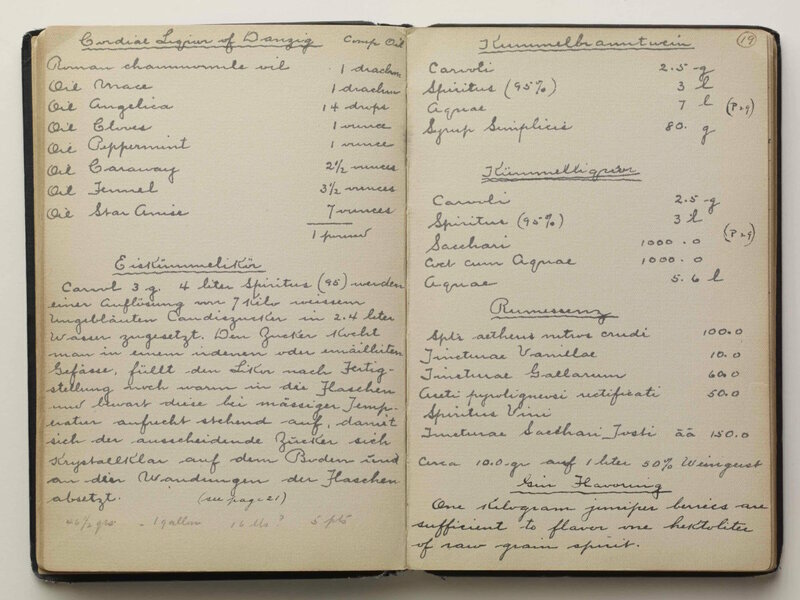 Many of the recipes in the book are quite spartan, as might befit a medicinally minded mixologist. But not iced kummel. This drink was made by taking a hot, supersaturated sugar solution and letting it slowly cool in a bottle. Delicate sugar crystals crawl up the sides of the glass. Then you pour liquor in the bottle. "The whole thing looks rimmed with frost. It&apos;s a really beautiful presentation that has almost entirely died away," Rowley told NPR&apos;s Ari Shapiro, host of All Things Considered. That seems to suggest the recipes weren&apos;t purely medicinal. Rowley thinks Lyon must have opposed Prohibition, and the book was his silent form of resistance. Perhaps Lyon was trying to preserve mixology knowledge by hiding the information behind a bad book&apos;s jacket as bars closed and recipes were lost during Prohibition. "I don&apos;t think he did it to skirt the law so much as he did it in spite of the law. This notebook was Lyon&apos;s middle finger to temperance crusaders and the erosion of knowledge," Rowley says. In some ways, he says, Lyon was like "monks in the Dark Ages transcribing knowledge to preserve it. When he began, who knew whether or how long Prohibition would last? "The last entry in the notebook is dated 1931. After that, Lyon largely disappears from the historical record, Rowley says. The physician is listed in the American Medical Directory in 1961 but not in 1963. By then, he would have been 87 years old. Rowley couldn&apos;t find any other details from Lyon&apos;s life. "Presumably, he died childless and unmarried," he says. But he left behind this hidden trove of alcohol and cocktail formulas.